In 1999, Hosain Rahman was squatting on his older brother’s sofa in Palo Alto after graduating from Stanford. As an extension of several ideas formulated in school, he and his co-founder developed the first product concepts that become Jawbone. A few months earlier and just 2.9 miles away in neighboring Menlo Park, Larry Page and Sergey Brin started what is now known as Google from Susan Wojcicki’s garage. Soon the project was interfering with their schoolwork, so they tried to sell it to Excite for $1 million. Excite rejected the offer and now Google is the most trafficked site in the world – and also one of the world’s most valuable companies. Since 1999, the transformative forces of technology we so enjoy creating and consuming has had an alter ego in the form of alarming declines in human health. Our eroding health statistics resonate like an echo across political and economic boundaries in a pattern similar to technology’s wide adoption; both symbolize progress yet consuming Western-branded food products has a vastly different outcome than consuming Western-branded technology. In fact, for the first time in history, more humans will die from overconsumption of food than from starvation. Unlike previous threats to humanity, the present human health crisis is non-communicable and largely a burden of lifestyle and choice. “Globesity”, a term the World Health Organization uses to describe the global obesity pandemic, is immune to biotechnology’s wizardry. Vast sums have been expended sequencing the human genome – now there is a data set that is perhaps equally important and relevant to consumers and scientists alike: sequencing the human lifestyle. This is the term BodyMedia founder and now-Googler Astro Teller used at a conference when he compared the amount of time, attention and resources that goes into truly understanding and doing something about human behavior versus all that goes into the much more well-known area of sequencing of the human genome. Data (big and small) is the likeliest antidote in the quest to resolve Globesity’s spread. Jawbone is the only company busy chasing the Globesity problem in any big way. Its recent acquisitions are fueled by deep-pocked venture capital firms eager to capitalize on the next wave of new technology adoption – in this case, this opportunity has the potential for adoption on a global scale. Mobile phones are approaching three billion users worldwide allowing all sorts of engaging convenience and ubiquitous practicality. In a sign of the times, Mary Meeker addressed fitness data on mobile and wearable devices and general USA health conditions in Kleiner Perkins Caufield & Byers (KPCB) Internet Trends report dated May 29, 2013. Linking these two trends was not an accident. While occupying only two slides of a 117 slide compendium of Internet trends, Mary’s inclusion of health and fitness resonates with KPCB’s recent investment in Jawbone and offers a small but sparking prism into the likely strategy for Jawbone’s future. Despite Jawbone’s 14-year history that is punctuated by a number of product misfires, capital raising and corporate development have defined its DNA in recent years making it attractive to only a narrow cohort of large technology companies whose strategy and balance sheet match Jawbone’s ambitions. The company has raised at least $200 million from Khosla Ventures, Sequoia, Andreessen-Horowitz, KPCB, and Deutsche Telekom. Also, Jawbone recently added Marissa Mayer to its board of directors. Mayer has spent the last 13 years in various senior executive positions at Google and was Google’s 20th employee before joining Yahoo several months ago. 1. Jawbone’s recent acquisitions make it the largest company in the wearable+fitness+health space with 300 patents, tech talent accumulated through acquisition and years of experience with designing and selling wearables. Google has a history of acquiring companies to obtain patent portfolios in places it wants to compete. Motorola Mobility was acquired, in part, for its patent portfolio that was already aligned to Google’s Android mobile operating system and more broadly to mobile computing. Similarly, Jawbone’s patent portfolio contains broad spectrum IP at the intersection of health, data tracking and mobile devices that are strategically important to any company with global mobile ambitions. For example, United States Patent No. 8,275,635, titled INTEGRATION OF LIFEOTYPES WITH DEVICES AND SYSTEMS, covers a data analytics process to define what Jawbone’s BodyMedia calls “lifeotype” categories that can potentially be used for purposes ranging from tracking health issues to controlling electronic devices. Building on BodyMedia’s ability to collect physiological data about individuals through its wearable sensor technology, the new patent outlines a methodology for parsing that data as well as combining it with other sources to identify patterns that are common to individuals or groups that share the same lifestyle. Having access to these patterns is expected to offer opportunities to draw inferences about the effects of different lifestyles, predict or manage certain conditions, guide more effective lifestyle choices, and customize devices such as computers, TVs and thermostats to the particular consumer’s “lifeotype” profile. I see a fit with Google Glass based on this patent alone. Google has a history of acquiring companies to obtain tech talent; also, Google’s recent emphasis on design and user experience fit naturally with Jawbone’s strengths. For example, Jawbone recently acquired MassiveHealth and Visere for its deep tech talent in data, software and design. According to tech journalist Om Malik, well-known designer and UX thinker Aza Raskin started MassiveHealth. Om further elaborates that hardware, “needs to marry connectivity, data and design to create a compelling user experience that keeps people coming back.” More recently, Jawbone purchased BodyMedia for approximately $100 million, a leader in wearable gadgets that track health, making it the single best asset in terms of tech talent in its industry. In addition to its patent portfolio, the company also has one of the largest living databases of raw and real-world human sensor data gathered from body monitors with more than 500 trillion sensor points gathered over the life of the company. And this is for a niche-oriented company with a modest number of early adopters. Imagine the scale of data created by several hundred million users. BodyMedia CEO Christine Robins said she and Jawbone CEO Hosain Rahman share a vision for the future of the space: multiple sensors, from fitness trackers, environmental sensors, and other sources, integrated by an actionable data analytics platform. 2. The opportunity in fitness and monitoring is large and fast growing - but there is a bigger opportunity to impact global health in the long term. A recent Credit Suisse report on the rise of the wearable technology market indicates it has hit "an inflection point" and will have "a significant and pervasive impact on the economy," and will reach $30-$50 billion over the next five years. The real prize in addition to the device market tethered to mobile devices is the long-term value to extract from the massive amount of data and analytics related to health and fitness. Google is in a unique position to exploit both of these features. Beyond personal consumption of active and passive health metrics presently in demand by million of users, there is a whole other layer that has the potential to impact global health when connected to billions of people. Imagine an earth heat map that surfaces real-time metabolic conditions or identifies anomalies in broad health metrics that correlate to spreading infection - or predictive morbidity models powered by big data analytics built on top of Google’s users’ data stream in its global, distributed network. “We’re looking at $4.4 trillion in health care costs over the next decade related to heart disease and diabetes,” says Rahman, CEO of Jawbone. “This is totally preventable” if people get the right information. Kleiner Perkins Caufield & Byers (KPCB) early investment successes with companies like Amazon and Google have been challenging to repeat. It missed out on early investments in Twitter and Facebook. And a recent emphasis on clean technology investments has been dismal. Fisker Automotive, a green car company, could become one of the biggest venture capital losses in history having wiped out its entire $1.4 billion investment. KPCB was one of Fisker’s major investors. To address lagging performance, KPCB hired Mary Meeker to re-focus the investment company’s fortunes on digital growth. It was Mary’s new Digital Growth Fund that invested in Jawbone. Google’s Android is the world’s most widely used mobile operating system. Android’s success is in part responsible for the smartphone wars between Apple, Google, Microsoft and others in recent years. Smartphones connect wearables to the cloud and therefore are a driver of demand. Jawbone’s dominance in wearable IP and products could advance Google’s lead in ways that cannot be duplicated by its competitors; Google’s network infrastructure, projected expansion of wireless access and (Android’s) dominance in mobile devices impart special value to Jawbone in Google hands. Increasingly, mobile phones are the first branded product many people in developing countries aspire to own. Sundar Pichai, the senior vice president overseeing Android and Chrome at Google, had much to say about Google’s mobile strategy at the D11 conference on May 30, 2013. “We care about reaching users in every corner of the world, including the five billion users who don’t have smartphones today,” Pichai said. “In the end all that matters to us is that they build great products that users are excited to use,” Pichai said. He also made repeated use of the term, “user experience.” Since healthcare delivery on mobile phones is much more common in developing countries, expanding health options could have an huge impact to health outcomes that far exceeds the additional costs of sensors. This would make both Android and Google’s network infrastructure impossible to compete with. According to the Wall Street Journal, Google is working on building an ecosystem of new microprocessors and low-cost smartphones powered by Android to connect to the wireless networks. 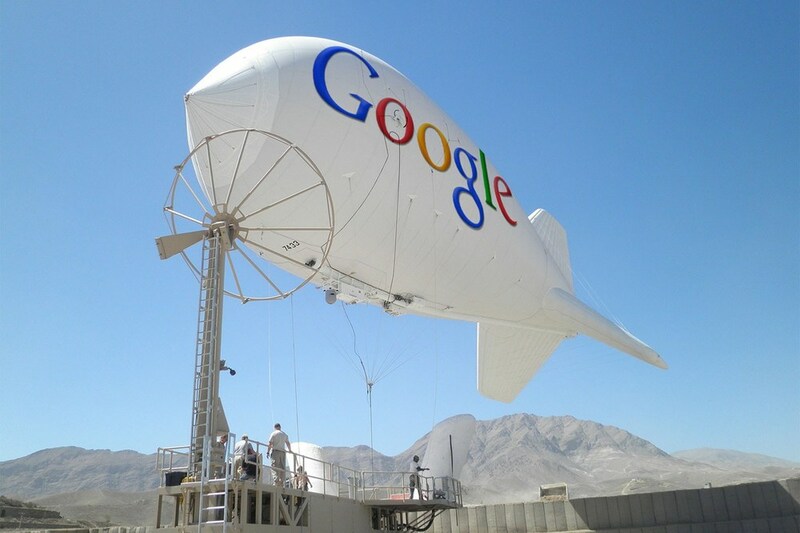 And the company has also worked on making special balloons or blimps, known as high-altitude platforms, to transmit signals to an area of hundreds of square miles. It is widely know that Google’s philosophy is to organize the world’s data and do no harm. This explains, at least in part, Google’s investments in projects such as solar energy, driverless cars, hybrid cars and climate change research. Given Globesity’s threat to human health, how could Google ignore the potential profits in the wearable+fitness+health space combined with the huge potential impact from organizing the world’s health and fitness data for real-time consumption and analysis. According to experts, Google’s 2013 building boom represents the largest investment in data center infrastructure in the history of the Internet. Certainly this infrastructure can’t be planned for use to find the best burrito in town. Organizing the world’s health data would define Google as a global force of progress and relegate Apple to a maker of shiny, trendy devices. Can Western technology be used to sterilize the anti-social consequences of adopting the Western diet? Google has been working on projects that indicate its interest in global health. Only yesterday, Google announced that it was introducing detailed nutrition information for more than 1,000 fruits, vegetables, meats, and meals in both its desktop and mobile search. Google product manager Ilya Mezheritsky says that users will be able to "hear" the answer -- it appears that in addition to the nutrition feature, Google is also touting its new question-and-answer interface for search. The company introduced this feature at Google I/O earlier this month, which lets users click on a microphone icon to say and hear their queries.